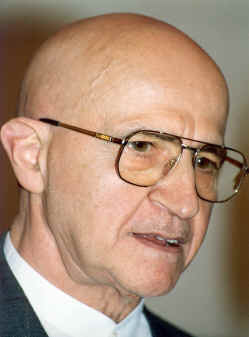 Dr. Alfred A. Tomatis is a French ear, nose, and throat doctor who made astonishing medical and psychological discoveries that led to audio-psycho-phonology, or the Tomatis method. Also called auditory training, auditory stimulation, and listening therapy, the purpose of this treatment is to reeducate the way we listen, and it is used in over two hundred and fifty centers around the world. The Tomatis method claims to benefit a wide variety of people. People suffering from auditory processing problems, dyslexia, attention deficit disorder, autism, and learning disorders can improve their communication and social behavior by auditory stimulation, which can eliminate or reduce the severity of the disorder. This is based on the belief that the symptoms of these disorders are not caused by the disorder itself, but by a sensory regulation problem that begins in our most primordial sensory instrument, the inner ear. In addition, those suffering from depression, low self-esteem, or just wanting to learn a new language or fine tune their musical talent can also benefit from this unique treatment. Attention, focus, learning, and language abilities can all be improved by retraining the ear to listen using high-frequency sounds. 1. The primary function of the ear is to convert sound waves to electrochemical impulses that charge the neocortex of the brain. 2. Sound is a nutrient; we can either charge or discharge the nervous system by the sounds we take in through both air and bone conduction. 3. There is a distinction between hearing and listening. The two are related, but distinct, processes. Hearing is passive; listening is active. This corresponds to the difference between seeing and looking. Listening and looking are active focusing processes. 4. The quality of an individual's listening ability will affect both spoken and written language development; listening ability also influences communication, thereby shaping the individual's social development, confidence, and self-image. 5. The active process of listening can be enhanced or refocused by auditory stimulation using musical and vocal sounds rich in high frequencies. This entails the use of filtered and enhanced audiotapes employing the music of Mozart and Gregorian chant. Additionally, Tomatis has invented a device known as the Electronic Ear. One of its functions, accomplished through the effect of electronic gates and filters, is to reestablish the right ear as the dominant ear of hearing. 6. Communication is a process that begins in utero. The unborn child hears as early as the fourth month after conception. Sound actually helps grow the fetus's brain and nervous system. 7. We can duplicate only the sounds we can hear. This is known as The Tomatis Effect.